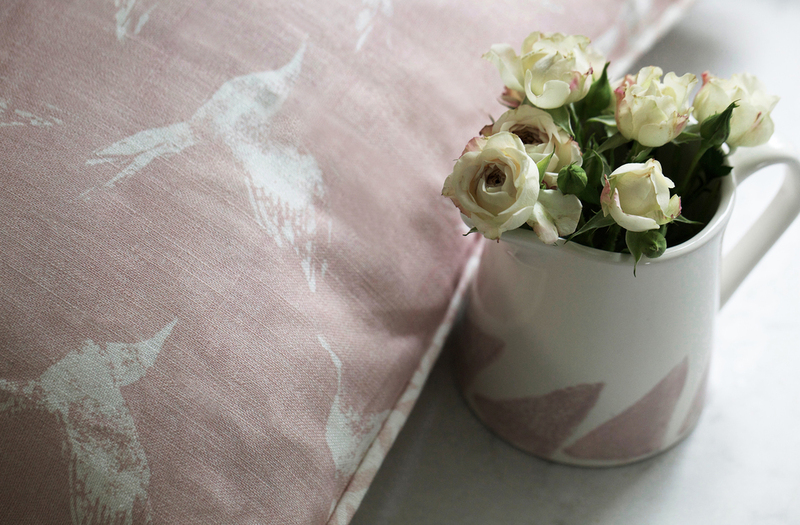 Petal pink brings soft, warm accents to a white, grey or blue scheme. 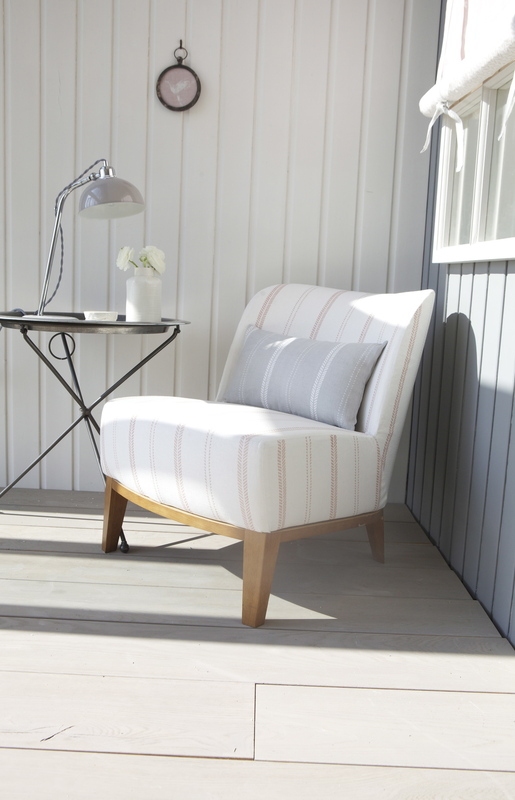 Add to a sitting room as accent cushions or make lovely bedroom roman blinds, curtains and cushions. The Petal Slade stripe in roman blinds can also soften and lift an urban grey kitchen scheme. Petal also works as a lovely accent to our Inky Sky prints on the white linen base such as Windmill Wood Inky Sky and Birtles Goose in Inky Sky.